Come on a journey that will take you to the very heart of a secret adventure. An adventure so secret it should not be made public. 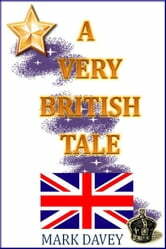 &apos;A Very British Tale&apos; brings together ancient folklore, a thousand year old Royal Family and mystical magic; and sets it all firmly in the 21st Century. This story tells of how Kate, the Duchess of Cambridge, hides a dark family curse that turns her into a strange flying creature. In order to break the curse Prince William and Prince Harry must face an adventure that will take them to the four corners of the United Kingdom. This heroic tale involves princes and knights and trolls and dragons - even the Loch Ness Monster makes an appearance. Secret Agents, King Arthur and a Welsh Rock Star all play their part in helping the young princes in their quest to break the age old curse. However, as if their task was not hard enough, wicked forces are at work to frustrate the prince&apos;s game plan at every move. Their enemies, both human and supernatural, will stop at nothing to defeat Prince William and Harry. But with the entire Royal Family lending a helping hand, this hilarious fantasy adventure will have you both laughing out loud and on the edge of your seat. Can Prince William succeed in his quest? Can the curse be broken? Can the Royal Family help or hinder the progress? And, with a reporter hot on their tails; can it all be done without the press telling the world of this very secret adventure? Find out the answers to all these questions and more in a tale so incredible it must be told, but only to you. Can you keep a secret?